Every spring since 2006, EdVestors (www.edvestors.org) invites Boston Public schools with 4-year rates of improvement on the Massachusetts Comprehensive Assessment System (MCAS) tests that are significantly (50% or more) greater than the district average to apply for a $100,000 School on the Move Prize (SOM). 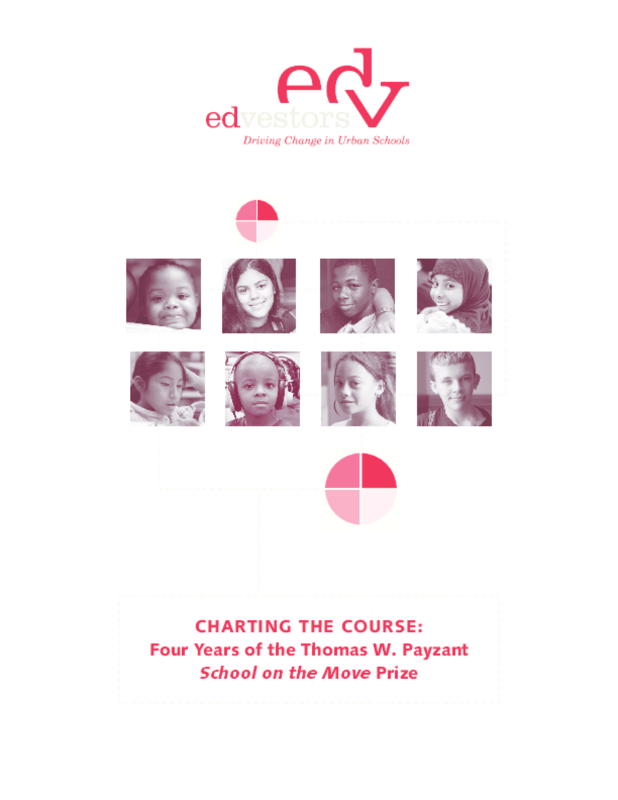 Since the creation of the Prize, the Rennie Center for Education Research & Policy has served as EdVestors' research partner, identifying and documenting lessons from the winning schools. This report draws upon the previous SOM case studies produced by the Rennie Center, along with interviews with school leaders, staff and students. The study identifies common themes across all four winning schools that describe the structures and strategies put in place to better serve students, as well as some of the opportunities and barriers the schools have faced in sustaining their success since winning the award. Finally, the study highlights some key lessons the leaders of these four schools view as critical to implementing the strategies and practices outlined to support students and improve outcomes. Academic Rigor and Student Support: A student-centered approach that balances high academic expectations with integrated academic and developmental supports targeted to student needs. Copyright 2010 EdVestors, Inc. All rights reserved.